Learn in Class . . . Learn On-Site . . .
Read Great Literature . . . Enjoy Learning with Friends . . .
Go on Excursions . . . Drink Some Really Good Coffee . . . Delight Your Eyes . . .
View Astonishing Art . . .
Lots of Art . . .
Lots of Time . . . The Orvieto Program partners with Gordon College’s Studio for Art, Faith and History to offer 20 classical students two weeks of study in the beautiful medieval city of Orvieto, Italy. The Orvieto Program is operated by Classical Academic Press and sponsored by the Society for Classical Learning. Registration and Payment The cost for the trip is $1,950, plus airfare. The $1,950 fee covers room and board, ground transportation, entrance to all museums, and food for the two-week duration. Airfare usually ranges from about $1,200 to $1,600. Once your application has been approved, we will send instructions on how to pay a deposit of $500 to officially register for the trip. Cancellation Policy If you cancel before May 31, 2019, you will receive a refund for any payments made (less the $500 initial deposit). No refund will be offered for cancellations after May 31, 2019. Click Here for a Video Showing Images of Orvieto. 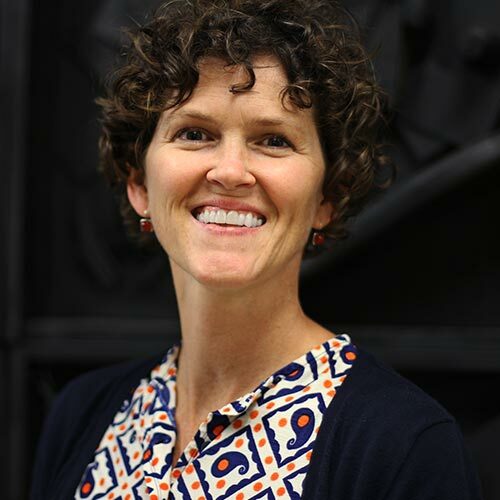 Your trip leaders are Gordon College professor Dr. John Skillen, Messiah College professor Christine Perrin, and Classical Educator of Fine Arts, Valerie McClymont. You can learn more about them here. 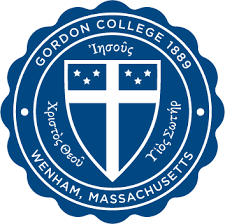 Staffing Gordon College provides administrative support and logistics. Keep up a strong guard against being drawn back into the pagan culture in which we have been nurtured and from which we have been redeemed. Keep in mind the inadequacies of the classical heritage but recognizing the value of various elements of it. 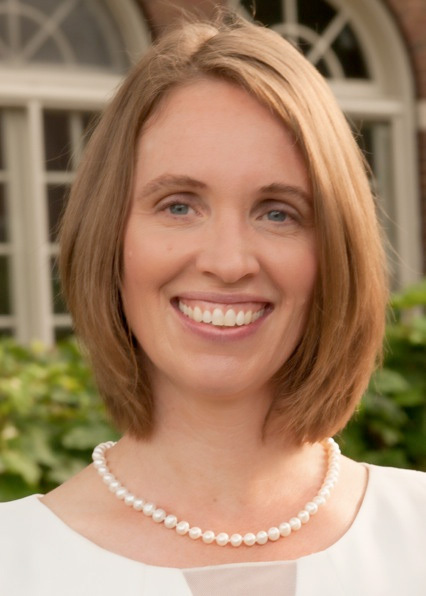 Appreciate the consistencies to the degree of incorporating swathes of the classical heritage into a broader educational and cultural program intended to be thoroughly consonant with Christian faith and theology. Yet these responses can, and almost always do, find expression in every generation of Christian believers, whether in reacting to Virgil’s Aeneid or Ovid’s Metamorphoses, or J. R. R. Tolkien’s Lord of the Rings or J. K. Rowling’s Harry Potter series. The historic cliff-top town of Orvieto offers an inspirational setting to reflect on this theme. The town itself is an archeological-architectural palimpsest of the Etruscan, Roman, medieval, and Renaissance strata present everywhere in contemporary Orvieto. We will live and study in a beautiful, restored monastery, alternating days of study and reflection in Orvieto with excursions to sites evocative for the theme. The classical is also notably integrated with the Christian in the decoration of the Orvieto Duomo. One of Europe’s great medieval cathedrals, the Duomo was admired in the Renaissance as unrivaled in its beauty by the noted humanist scholar-pope Aeneas Silvius Piccolomini (Pius II) when he visited the city in 1463. The façade is divided by four enormous panels, carved in bas-relief in the 1320s with the themes of the Incarnation, from Creation to Final Judgment. Strikingly, a group of pagan philosophers and prophets, including Plato and Aristotle and the Sybil, are depicted at the base of the panel of prophetic scenes from the Old Testament. Finally, one could hardly ask for a richer distillation of our theme than is found in the magnificent fresco cycle of the End Times, Last Things, and Last Judgment in the right transept of the Duomo. The San Brizio Chapel provides a point of reference both for the classical sources and for three stages of Christian response to the classical heritage: the Late Antique of St. Augustine and the other Doctors of the Church, the Medieval of Dante and Thomas Aquinas, and the Christian Humanism of the Renaissance. Begun by the Dominican painter Fra Angelico, the frescoes were completed by Luca Signorelli in the early 1500s. In the decorative lower zone, Signorelli painted fictive windows framing great figures of classical thought and literature, including Virgil and Ovid. Around these portraits are scenes from their writings, deemed by Signorelli and his humanist advisors as suggestive parallels foreshadowing the scenes of Christian eschatology unfolding in the enormous murals above them. Dante—the poet who most astutely incorporated the classical heritage into an epic that reinterprets the Homeric and Virgilian “homecoming” stories in Christian terms—is welcomed into their company. Excursion days will allow ‘educational’ talking and conversation on site, of course, but they are all full days, and will not allow for concentrated doses of quiet group learning and thinking together. 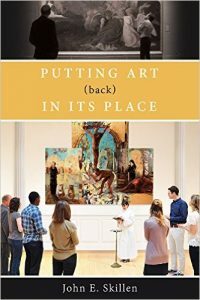 We will also read Dr. John Skillen’s book, Putting Art (Back) in Its Place, which is available on Amazon (link provided). This is Orvieto…your new home town. 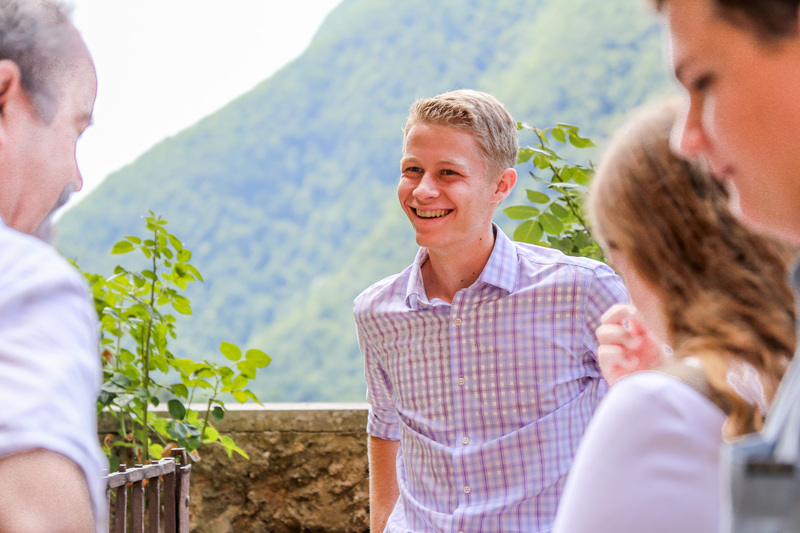 An an interview with Brandt and Nick, who both attended the 2015 trip. Lunch time (pranzo) with great food prepared by the program’s Italian chef Maria! Walking the lovely streets of Orvieto. Morning class time with Professor Skillen. At one of the student’s favorite places–the lakeside beach at Bolsena, just 30 minutes from Orvieto. Live music on an early evening in Orvieto–a common event. Professor Skillen teaching on-site in front of a famous painting–do you recognize it? Yes, there are olive orchards in Italy–many of them. Why study Latin? Orvieto Trip student (from Regents School of Austin) makes a very good case!